I sincerely enjoy tropical places wherever I am. When you start looking for them you realize, there are more of them than you thought. 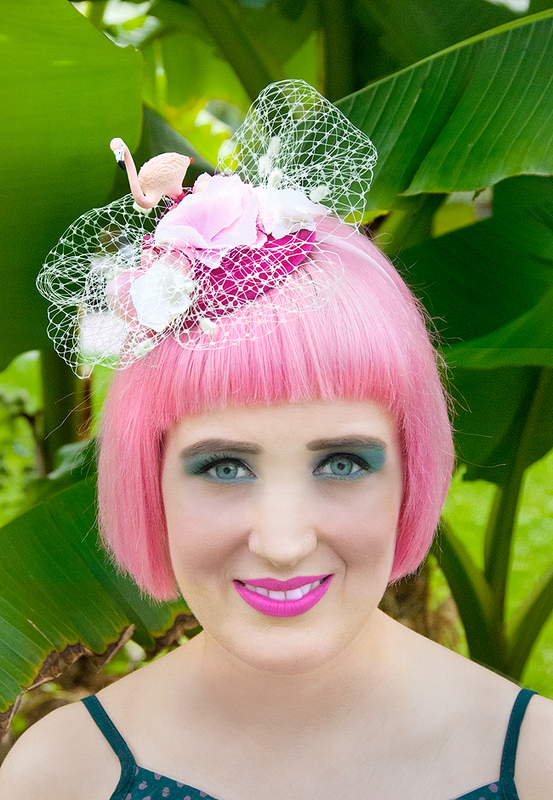 I love to visit beautiful parks, tropical gardens, and greenhouses. One of my favourite places in the world is Kew Gardens, one of the (or even THE) biggest botanical collection in the world. Palm trees and cacti have a certain magical attraction on me. When I am in a tropical garden, I can trick myself into thinking it‘s holidays. Therefore I love best to wear my holiday looks and this year I am especially fond of jumpsuits. This all-in-one garment is comfortable to wear, and it comes in various fits for all body shapes. 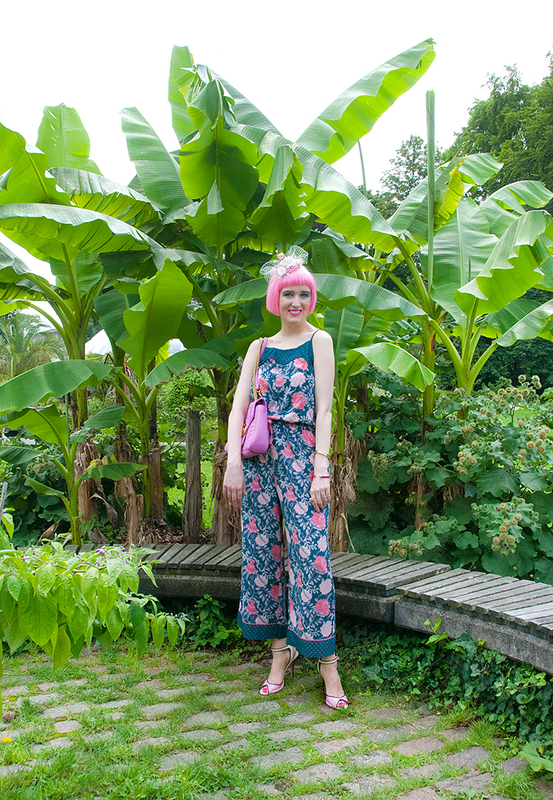 My favourite jumpsuit style is fitted at the waist and with long, wide legs. Combined with slim high heels this style fakes killer legs. 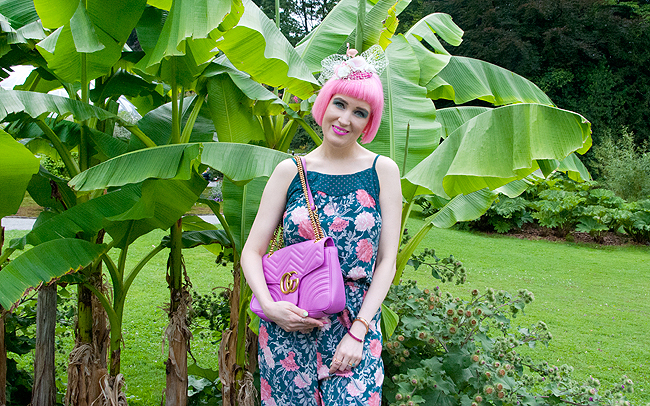 A jumpsuit look doesn‘t necessarily require a lot of jewellery (especially if you go for a printed fabric) but I couldn‘t resist wearing my new flamingo fascinator. After all flamingos like palm trees too, everybody knows. 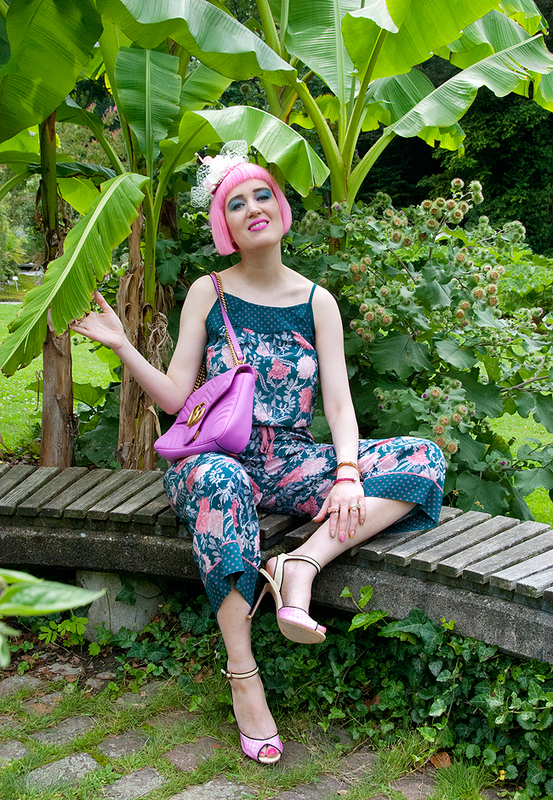 Botanical garden I love you and I love to dress up to visit you! What is your trick for a mini holiday experience? Such a beautiful pictures dude..
You are looking gorgeous in this outfit. I like your dress and leather handbag.